Yesterday marked the Centenary for one of Australia’s biggest supermarkets, with Coles supermarkets celebrating its 100th birthday. 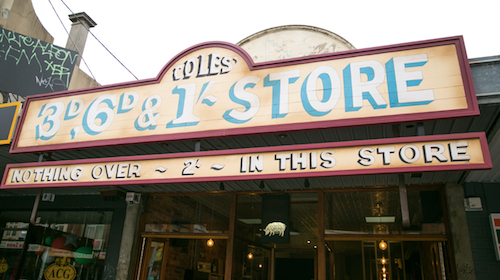 GJ Coles and his brother James opened the first Coles Store on April 9 1914, located on Smith Street in Collingwood, Victoria. 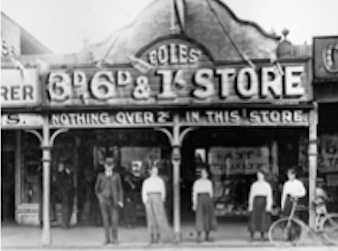 Coles was Australia’s very first variety store, focused on providing Australian families great value with nothing over two shillings and supporting Australian suppliers. 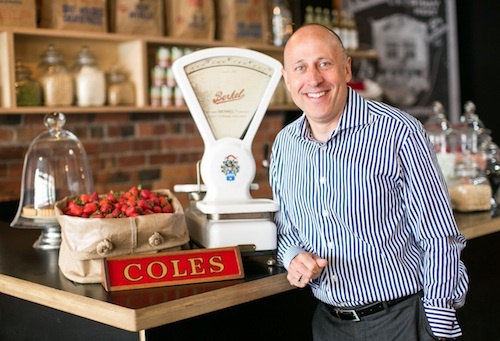 Throughout 2014, Coles will be marking this milestone and Coles’ transformation from its humble beginnings with just six team members, to becoming one of Australia’s largest employers, with 100,000 team members serving over 19 million customers a week. Coles recreated the original store at 288 Smith Street in Melbourne’s Collingwood yesterday, to mark the occasion and is also rebuilding a brand new supermarket at the site of its second store in Australia, just up the road at 170 Smith Street.